The announcement is in. 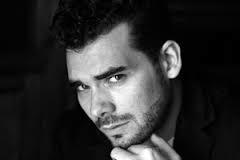 It's Daniel Kramer. He takes over on 1 August. The American-British director, 39, is currently staging ENO's new Tristan and Isolde. His work with ENO extends backs to 2008: he was selected as part of ENO’s young director’s initiative for which he directed Punch and Judy at the Young Vic, which won the South Bank Show Award for Outstanding Achievement in Opera. He also directed Bartok’s Duke Bluebeard’s Castle for the company at the Coliseum in 2009. He is nevertheless best known for his work in theatre, notably as an associate at the Gate, Notting Hill, and the Young Vic, plus being creative associate at the Royal Shakespeare Company. He is at a stage of life and career at which we can expect him to be hungry for success and creative about how to achieve it. ENO says: "The appointment was made by a panel of ENO Board Members chaired by Harry Brunjes, including Louise Jeffreys and Anthony Whitworth-Jones. The views of members of the Orchestra and Chorus and the senior artistic team were also taken into account. Daniel was unanimously chosen as the exceptional individual from a very strong field of candidates." I'm just waiting for the howls of outrage to start sounding round and about at the inclusion of the words "popular music". But if ENO is to remain the company we love and treasure, it needs a figure who can inspire confidence, around whom there is a genuine creative fizz, and who can attract a strong music director to stand alongside him. First sense is that Kramer fits the bill. Can he bring back the glory days? Let's hope so and wish him well with all our hearts, because it probably won't be easy.